David Martin was a major Scottish portrait painter of the 18th century who captured on paint a number of the most important men of his age. Martin worked closely with Ramsay at first but developed his own style. 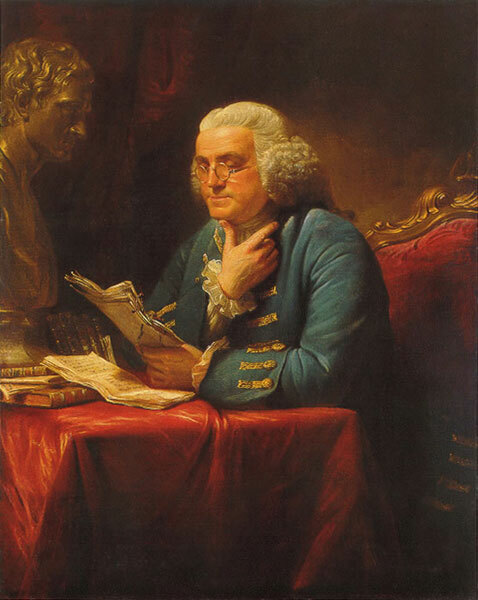 His most acclaimed portrait was of the Statesman and scientist, Benjamin Franklin (1767). A number of other notable portraits included William Murray, 1st Earl of Mansfield and Lady Frances Chateris. He was able to experiment with different stylistic influences and to adapt these to the individual sitter. During the 1770’s, Martin lived and worked in London and held a number of offices with the Society of Artists. He returned to Edinburgh a widower in the late 1770’s and established a thriving Business. He died on the 30th December 1797 and was buried in the Parish of Leith South. Thanks to Lucy Dixon and the White House Historical Association for their help with this web page.